Gerald Harris (inset) is charged with stealing a power drill set from the Center on Halsted. An Uptown man who’s on parole for burglarizing a Lakeview garage is now charged with stealing a drill set from the Center on Halsted (COH). Gerald Harris, 31, stole a Milwaukee drill set from the landmark LGBT community center on February 9, prosecutors said. He was arrested last week after a COH security guard identified him for police nearby. Harris, identified by police as a Gangster Disciple street gang member, is charged with one count of theft. Judge Anthony Calabrese ordered him held on a $5,000 deposit bond, meaning that Harris can go free by posting $500. The Illinois Department of Corrections declined to revoke Harris' parole. 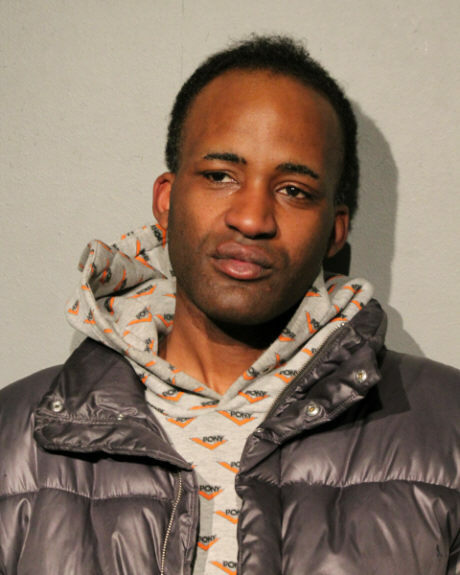 A South Loop man is charged with robbery and retail theft after he threatened a Burlington Coat Factory worker who tried to stop him from stealing three Bluetooth speakers in the Loop, police said. Tony Winters, 35, is on parole for shoplifting and aggravated battery of a police officer in Forest Park, Illinois. The Burlington Coat Factory arrest is the second time he has been busted for shoplifting since being paroled on December 15. Police working a “special attention” detail at 35 East Lower Wacker Drive arrested Winters last week after recognizing him from a department alert about the Burlington robbery. On December 29, Winters was charged with shoplifting beer from a 7-Eleven store in the 1000 block of North Dearborn. Despite the fact that Winters has been sent to prison eight times for shoplifting, the Cook County State’s Attorney refused to pursue felony charges and the Illinois Department of Corrections declined to revoke Winters’ parole for the infraction. The Cook County Courts released him on a recognizance bond “by a rule of the court,” meaning that he didn’t even appear before a judge. Only after Winters’ conduct escalated to the robbery of the Burlington Coat Factory did authorities revoke his parole. He has been returned to Stateville Correctional Center until December 2019. Winters’ current prison sentence was handed down after he was found guilty of stealing electronics from a Forest Park Walmart store and then spitting on and throwing jailhouse toilet water on a Forest Park policeman. He previously served time for shoplifting in 2014, 2013, 2012, 2010, 2009, and 2007. He served narcotics sentences in 2011 and 2006.